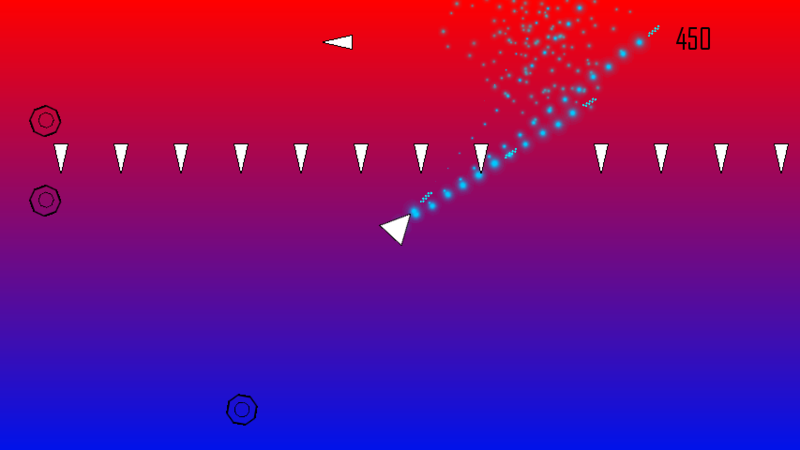 A simple, frantic dual stick space shooter. Kill all the enemies without dying! Made with GameMaker: HTML5. I love the music. Your composition I take it? In fact, I love the sound in general. Choosing a pleasing sound effect for an action that's going to be repeated hundreds of times is pretty important, and the subdued "pulse" sound of your weapon is evidence of that. Well done. Have you ever played Seaquest for Atari 2600? It was always immensely satisfying to destroy the little submarines because of the awesome abrasive destruction noise they'd give off. You've bottled some of that lightning here. Sorry for the late reply. I appreciate your comments regarding the sound design. 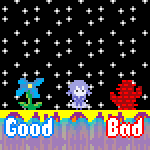 The music is my own composition, and it was the only thing in the game not made during the two hour jam. 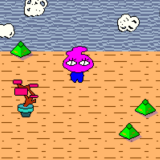 It was taken from one of my other games, Invasion Breaker (http://randomanimations27.webs.com/game_invasion_breaker.htm). The art, code, sound effects, and everything else were made in two hours. The music was made using Nanoloop for iPhone (http://nanoloop.de/iphone/index.html), and the sound effects were made with BFXR (http://www.bfxr.net/). I agree that the game is ridiculously tough, but I didn't have time to implement lives or a health bar, so it ended up being a one hit death game. I tried to compensate for that by making it quick to start a new game. No, I have not played Seaquest, but I'll take a look at some videos of it, and maybe try it in an emulator. Thanks for your comment!